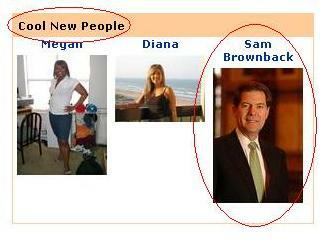 Oh, Sam Brownback. You’re so cool. 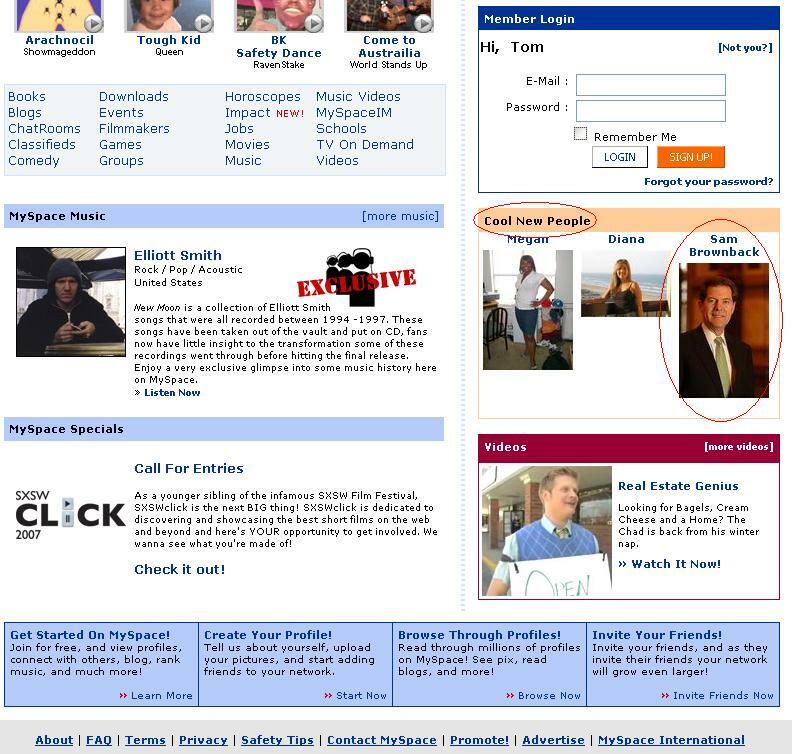 I’m about halfway through setting up a MySpace page.Thing is, I can’t really understand why I need it. It really appears like worthless crap to me.I just don’t get it. The only reason I have one is to check the MySpace pages of people I know. Some people opt to have blogs there, for some strange reason. It’s also the only reason I have a LiveJournal.